As a company expands and taking in more stocks producing more to meet customer demand, there are bound to be stock variances throughout the year and also partly because there are many people handling the stock delivery and stock re-ordering. 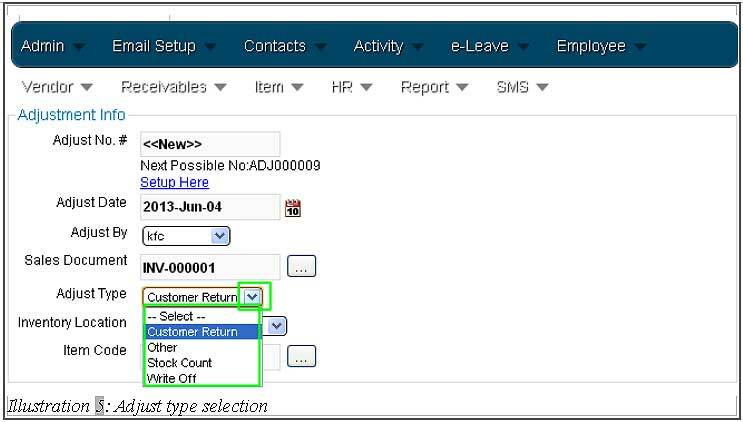 Although not advisable but in BMO Online Inventory Management System, you can easily change it. 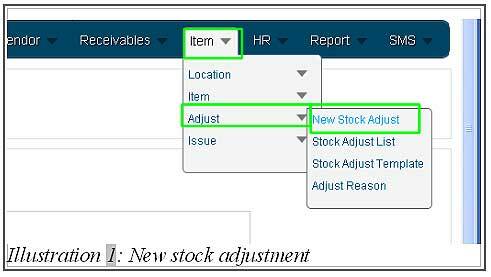 User can create a new stock adjustment by the following the steps as shown below. 1. Click on the ”New Stock Adjust”(Item > Adjust > New Stock Adjust) on the navigation menu bar. 2. 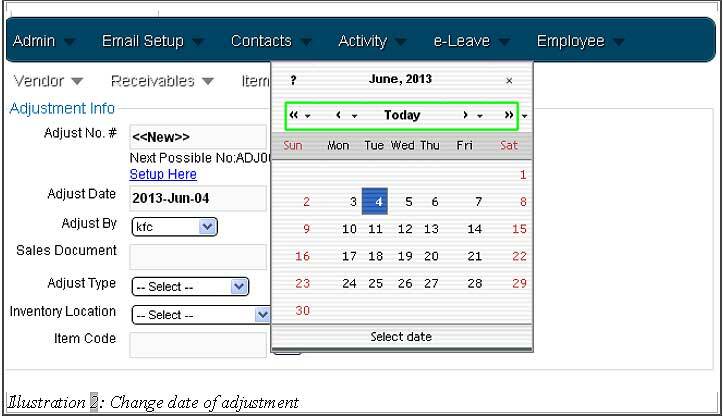 Go to ”Adjustment Info” adjust the date as below. The ”<<”,”>>” is adjust the year and ”<”,”>” is to adjust the month. Lastly, choose the date of the stock adjustment took place. 3. 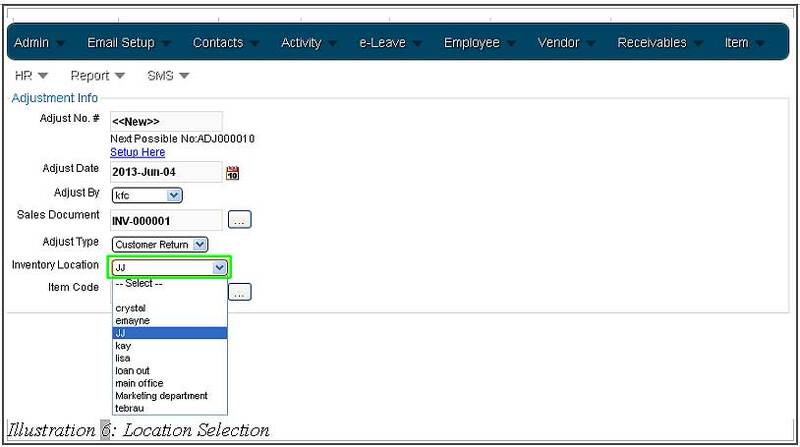 Click on the “…” button at ”Sales Document” to choose your sales document. 4. After clicking on the “…” button, a window will pop up and you can select the sales document by clicking on the ”Select” button. 5. Choose the ”Adjust Type” as shown in the illustration below. 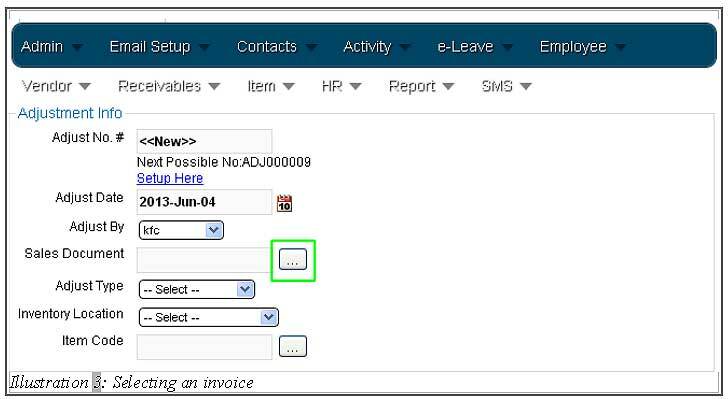 A list of adjustment type will be displayed in the select box. Choose one of the adjustment type to continue. 6. Next, choose your ”Inventory Location”. It is to record which inventory was adjusted. 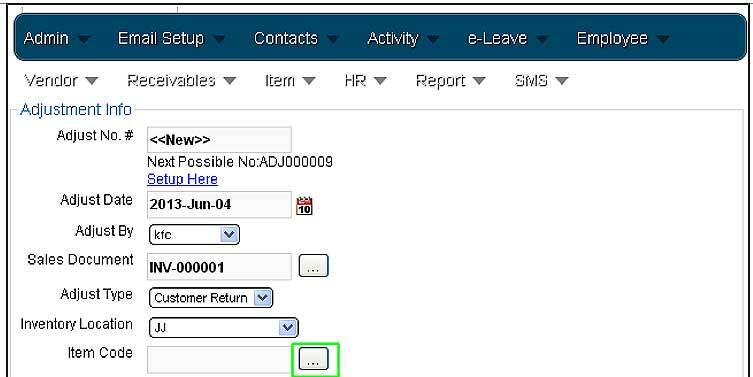 Similar to step 5, select one of the location listed in the select box. 7. Click “…” to choose an item via ”Item code”. As you click on the “…” button, a window will pop up like below. Click on ”Select” to choose the related item. 8. After selecting the item, ”Item” panel and ”Adjust” panel will be displayed. You can look through the item description and adjust the item quantity in the ”Adjust” panel. 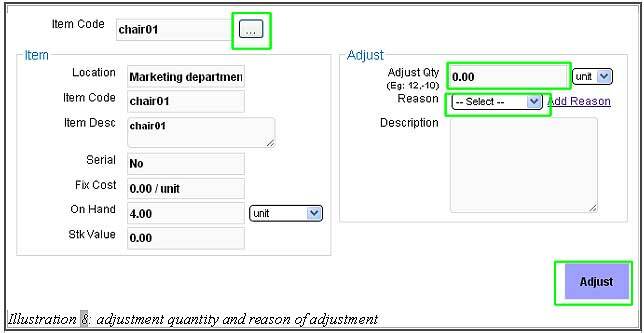 In addition to that, you can choose the ”Reason” and write down ”Reason Description” before clicking on ”Adjust” to confirm the adjustment. 9. The window will pop up as said item adjustment succeed. User click ”OK” to continue.